Condition - Very Good, PING's I20 irons are designed for the mid handicap golfer with smaller short irons to delivery accuracy and larger longer irons that provide more forgiveness and higher launch. These irons have been kept in very good condition. There are minor grazes to the Lob Wedge leading edge / sole. 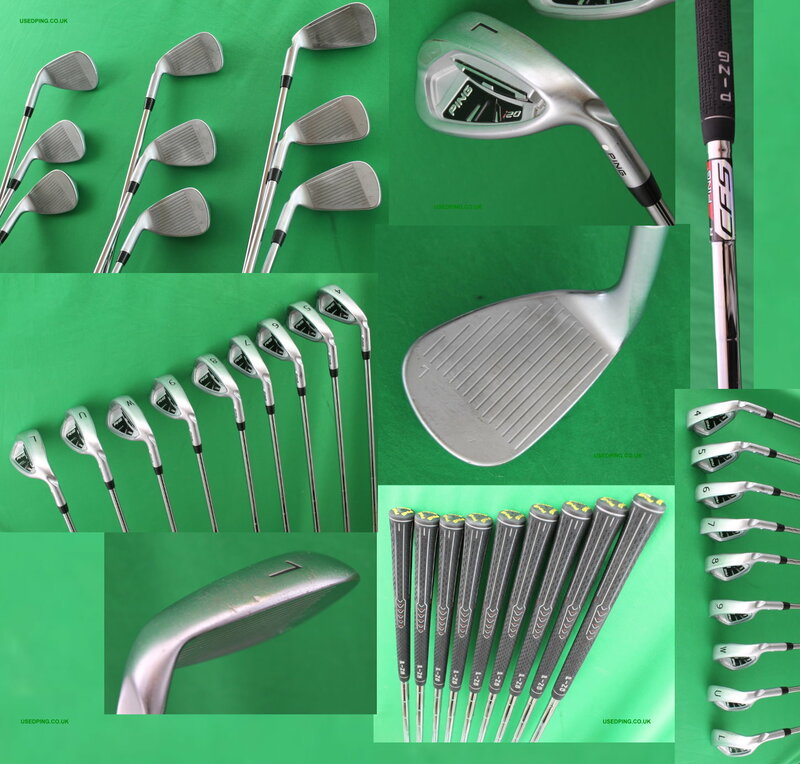 The PING G20 irons released in 2011 manufactured from 17-4 stainless steel are game improvement irons. The G20 irons are designed for maximum forgiveness and accuracy which is achieved through an oversized head, extreme perimeter weighting, a thick topline and a wide sole. The multi material cavity badge is designed to provide a soft feel and pleasing sound whilst improving distance control. The G20 irons have a think face that sends weight to the back flange which improves the clubs centre of gravity providing high launching longer shots. The G20 irons are available from 3-iron through to lob wedge and as standard are fitted with either the CFS (Control, Feel and Stability) steel shafts or the PING TFC169i graphite shafts that provide a higher launch and lighter feel than the CFS shafts. The PING I20 irons released in 2011 are made from 17-4 stainless steel with a tungsten sole weight and designed for the mid handicap golfer. The I20 irons have smaller short irons to delivery accuracy and larger longer irons that provide more forgiveness and higher launch. The PING I20 irons have a thicker face and rear stabilizing bars that ensure distance control and a solid feel. The I20 irons are available from a 3-iron through to a lob wedge and as standard are fitted with either the CFS (Control, Feel and Stability) steel shafts or the PING TFC169i graphite shafts that provide a higher launch and lighter feel than the CFS shafts.